Did you know 95% of home buyers start shopping for their new home on the internet? Home Sweet Home Realty takes internet marketing very seriously! In fact, we continue to invest thousands and thousands of dollars on the internet year after year, ensuring you're getting maximum exposure! exposure and a better chance of selling FAST! How many places can you expect your property to get such exposure? Think about it....if you have an agent that works for a big firm, that agent is responsible for the advertising, not the brokerage. Typically, the brokerage may only pay for a couple of ads when an agent gets a new listing, the other ad dollars come directly from the agent. If the market is slower than normal and sales are down, the agent may not have the disposable income to run a ton of ads or pay to ad search engines to their repertoire, especially if the brokerage takes a large percentage of each sale to help pay franchise and office fees. I have personally dedicated 60% of EVERY dollar I've earned back into the company. The Result...tons of search engines and fantastic results for my clients! Not to mention, referrals, referrals, referrals! I take great pride in the number of places we advertise! We're adding all the time! One of the most popular search engines! Home Sweet Home Realty has the fancy smancy package where your listing will appear as a featured listing if a consumer is looking in a particular area and price range. In addition, there is a headline, scrolling text, pictures AND a tour! Realtor.com gets over a million hits a week!!! All real estate listings that are on the MLS (multiple listing service) are on Realtor.com, however, if you're not a member, only the boring tax description will appear on the listing and it will be way back in the inventory of listings. Not as HSHR...we like front and center exposure! 20,000 copies of The Real Estate Book are distributed every four weeks and restocked bi-weekly in more than 800 quality, highly visible locations in the metro area. 100% distribution is guaranteed. The Real Estate Book is the only FREE publication audited and accredited by BPA. Your home will be featured in full-color photography on line and in print. The Real Estate Book website is promoted on over 8.4 million magazines monthly. Buyer and seller leads are generated through The Real Estate Books international toll-free "Moving Hotline." ALL advertised listings will automatically appear on numerous websites that partner with The Real Estate Book allowing over 25 million internet users to access our listings at such sites as: BobVila.com; LivingChoices.com; HouseLocator.com; Real Estate.com and with other companies like Google; HomeGain; HomePages; Yahoo!RealEstate; BellSouth; LendingTree; and Lycos. website will be listed first or second in the "blue box" at the top of the search page. Anyone searching for a home via the internet can peruse our site for listings not only in Lee's Summit but in other areas as well. One of the largest search engines in the world! We pay to have certain key words in areas all over the city so Home Sweet Home can easily be found! Also, you will find HSHR listings on the google real estate site. Check out the virtual tours of many of our listed properties. Visual Tours will appear on listings on most of the below search engines! Take an online tour of the interior and exterior of our listing before your agent sets an appointment to show. The visual tours are far more that a 360 degree pan of each room. Every frame, we highlight the features and selling poits of your home. It's just like a 'mini-movie'! by zone throughout the metro. Neighborhood News. Full run. We gotcha covered! in print in this publication. American Classified in a national publication...their internet presence is fabulous! In fact, many of our out-of-state clients come from their sister internet links. American classifieds has 29 locations nation-wide. Publish 75,000 copies a week! 18,000 mailed with rotating zip codes. Targets Lee's Summit, Blue Springs, Grandview/South Kansas City, Grain Valley, Oak Grove, Raytown, Independence, Belton, Greenwood, Harrisonville, Martin City, Raintree, Raymore. All our Lotawana properties are advertised in this publication. We also market our lake properties outside the Missouri area to appeal to those buyers interested in a second home. 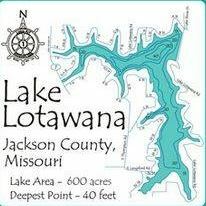 Why drive three hours to the Ozarks when you can do all the same lake activities right here in Lake Lotawana, Missouri! One of the most popular television personailites, Bob Vila is fixing, repairing and building...not to mention selling listings all over the country! You've been bombarded with their television ads and have a comanding market share of purchase loans. You'll find our listings here too! One of the most popular websites in the country!